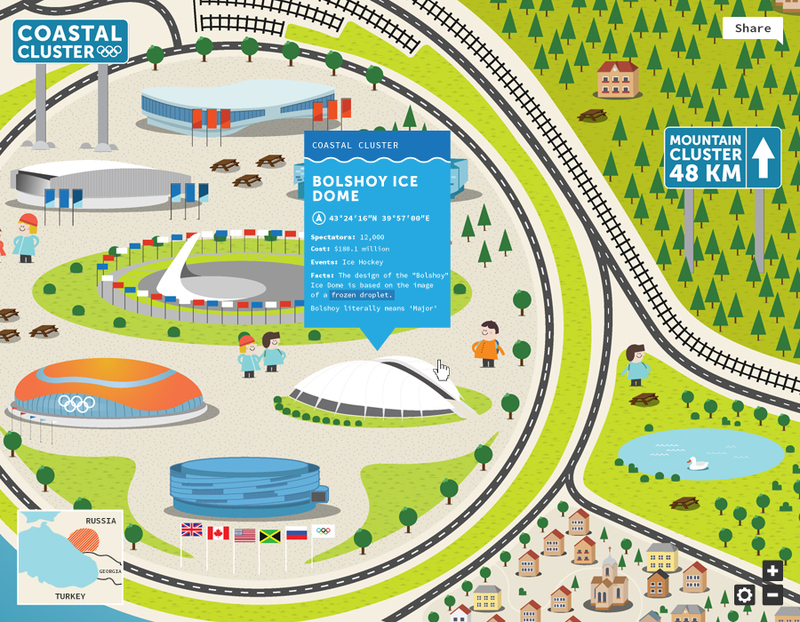 Fiasco Design has created an unoffical interactive map that reveals some surprising facts about the 2014 Sochi Winter Olympics in Russia, which kicks off this weekend. 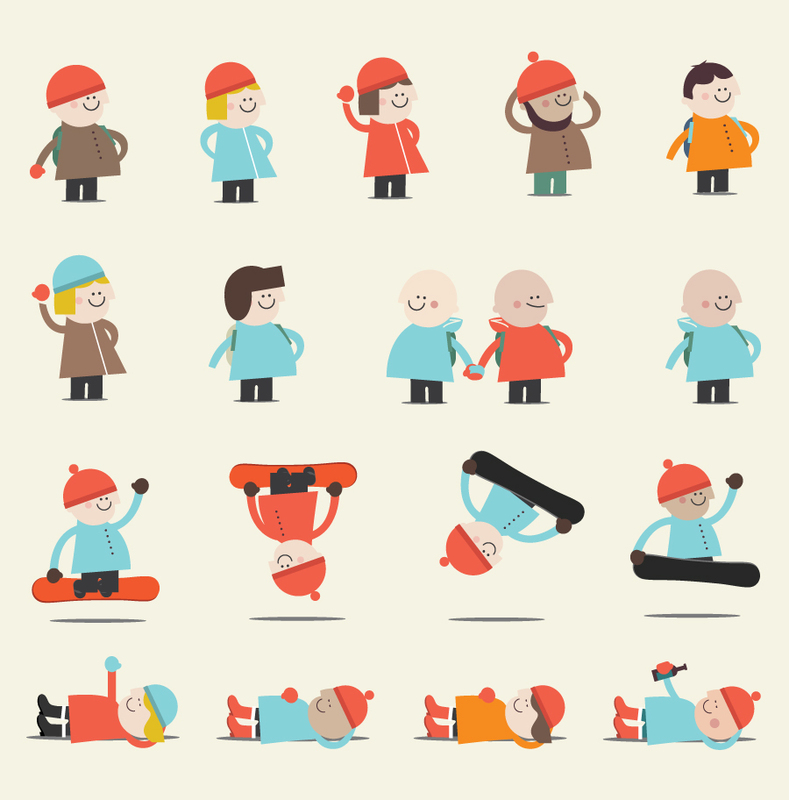 The cute, cartooney website provides an interesting contrast with the sometimes unsettling facts presented. Did you know, for example, that Sochi is just 16km from the disputed territory of Abkhazia, which has seen extremist violence since the disintegration of the Soviet Union in 1991? Or that the Russian military is rumoured to have installed underwater machine guns off the coast of Sochi to protect the Games? 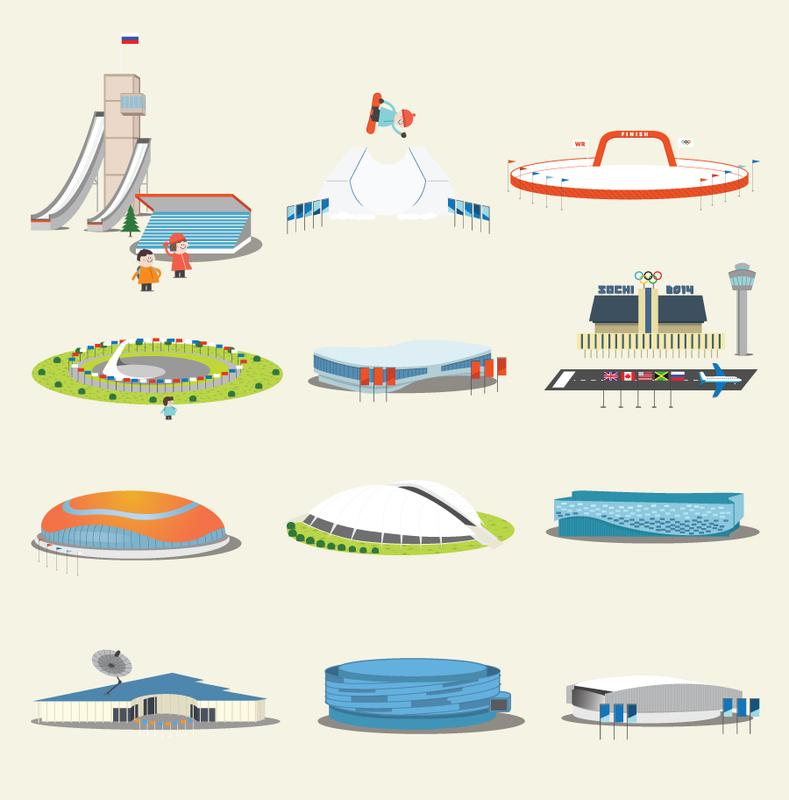 The site also features some interested insights into the infrastructure of the Games – showing the Fisht Olympic Stadium, designed to reflect sunlight off the Black Sea, and the Iceberg Skating Palace, with is portable and will be relocated to another Russian city after the Games. The team at Fiasco put together the map following a two-month research period using Google Maps and Streetview. It was created using Adobe Illustrator and Photoshop. 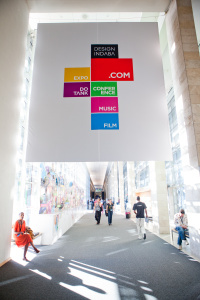 Users can zoom in and out of the map and pop-up hyperlinks take them to sites around the web with further information. 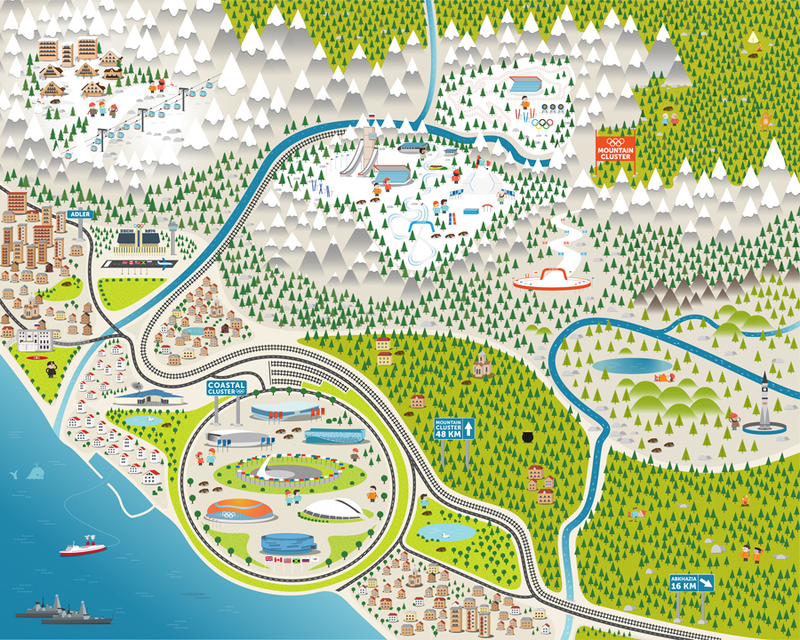 Although some of Sochi’s real-life geography appears to have been altered to fit the map (with the town of Adler and the nearby ski-resort of Krasnaya Polyana moved to fit) the illustrations provide an accurate, if characterised view of Sochi. 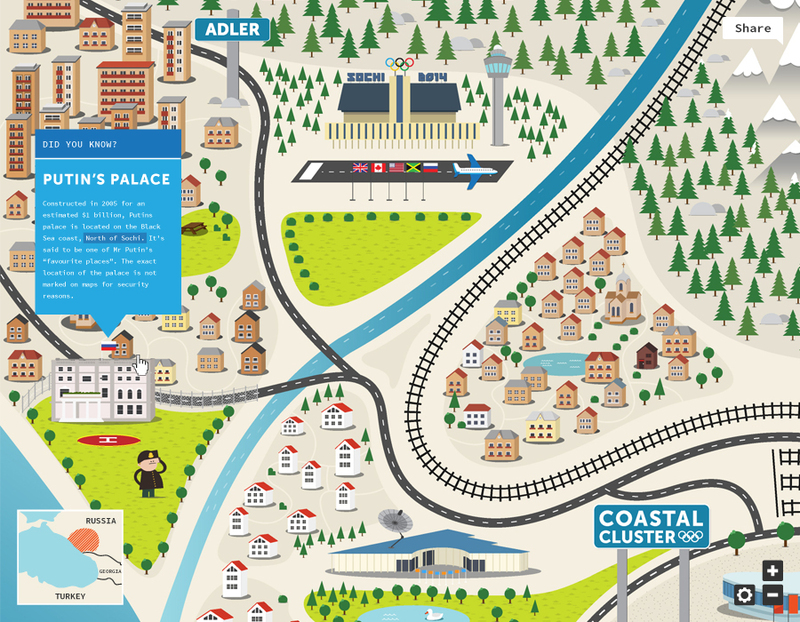 Ben Steers, creative director at Fiasco, says, ‘The map is unlike anything that’s ever been created before in the sense that it delivers a wealth of information in a more engaging format than the typical infographic.